It's a pretty Halloween-centric Saturday. I finally made a Micky Mouse Halloween sheet for the little one's bed. 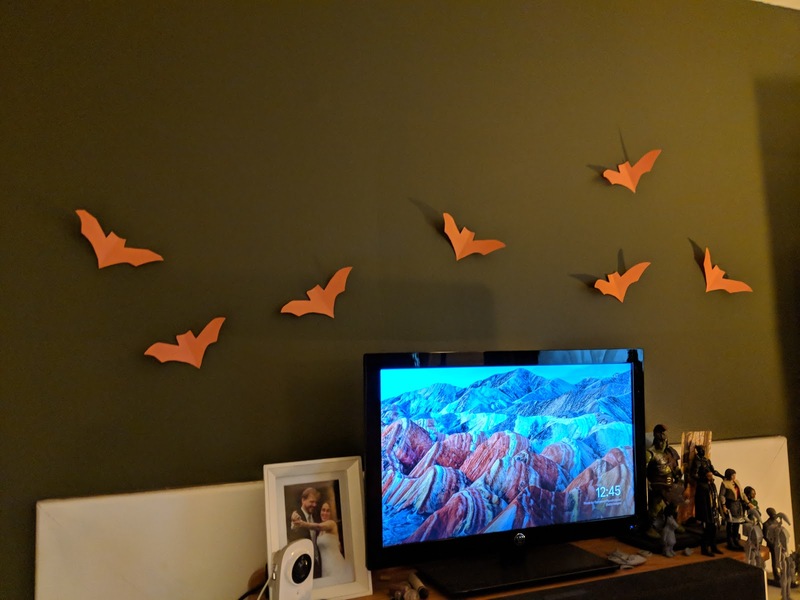 We decorated the house with all sorts of spooky and creepy decorations, including a bunch of construction paper bats. 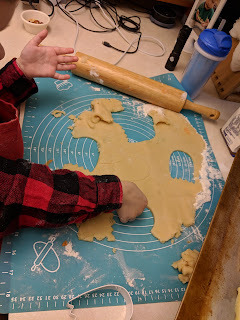 Then we topped off the day with Halloween cookies. 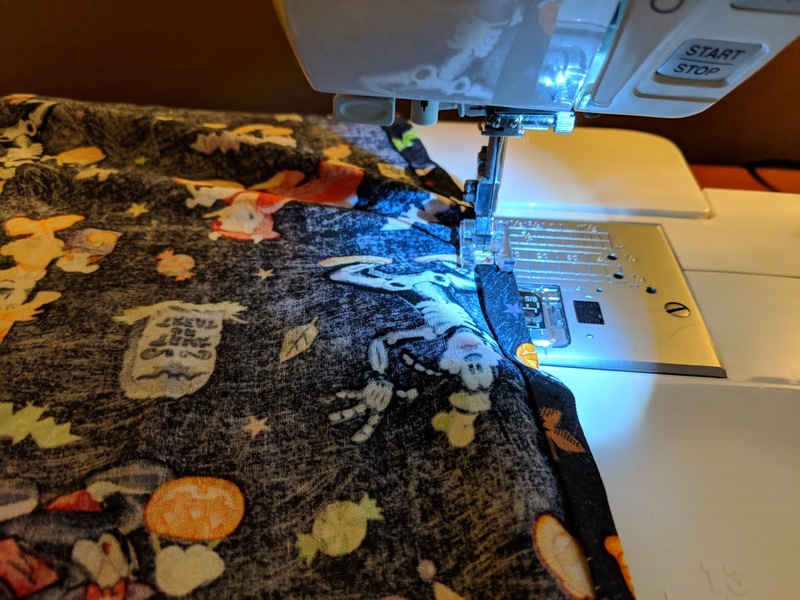 Ghosts and pumpkins and more!